A new long range speed mobile camera speed camera has been unveiled that can record a vehicle from a kilometre away. The device is designed not only to catch speeding motorists and tailgaters, but also to film drivers using their phone at the wheel. The camera is currently being tested by police on the A417 and A419 roads which link Gloucestershire and Wiltshire. The Police and Crime Commissioner for Gloucestershire commented: "This is one of the county's busiest roads which also has one of the worst accident records due to the way it is used. Many people have come to me with their concerns about speeding and other safety issues along this road." He added: "We now have a chance to test a new model of collaborative road policing which, if it proves a success, can be put into practice elsewhere. The aim is not just to penalise motorists but to uphold the law by creating a change in people's behaviour. But the police will enforce the law when this is necessary." 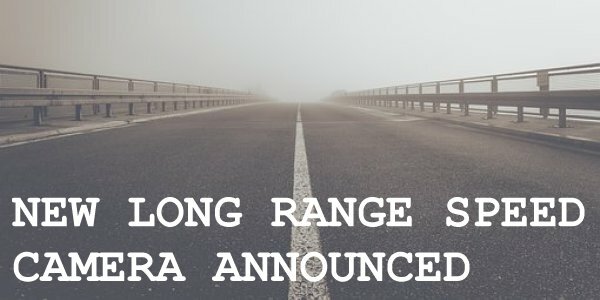 The device has been given the nickname of "The Long Ranger". Will you have a seperate category for these cameras? Why would we? It's just a mobile speed camera. The fact that it can 'do other stuff' is irrelevant. Plus there are some units that have a folder limit that we are almost at so adding new folders would cause problems. Same thing with Hadecs cameras, requests for a new category, why ? What surprises me is that we already have several categories (in the database) for different types of fixed camera. It's a 'fixed' camera. it measures your speed as you go past it. Does it matter a toss who made it? No.